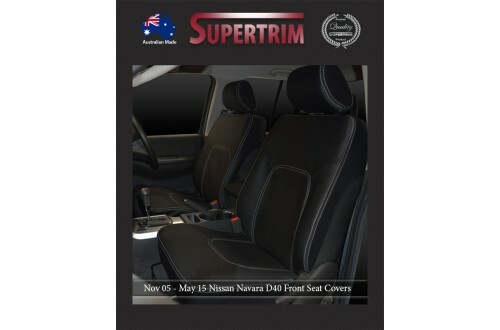 With nearly 40 years' automotive trimming experience in Australia, Supertrim supplies the largest range of Nissan durable seat covers - available in both automotive-grade premium neoprene (wetsuit) and heavy duty 12oz canvas. 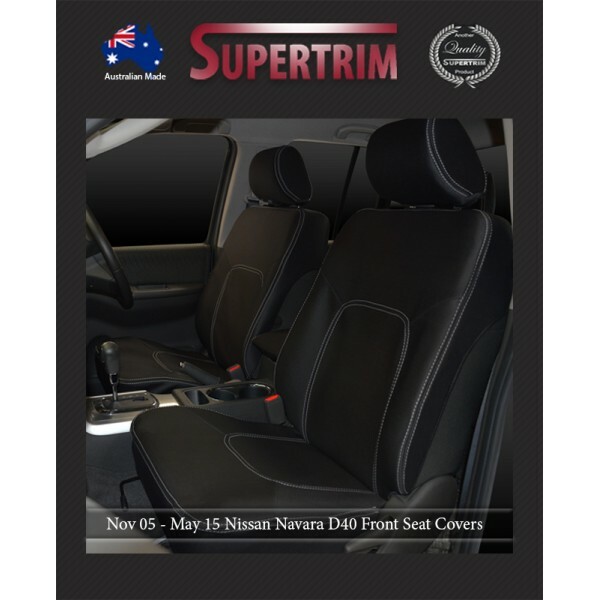 • The default"half-back"design provides full protection on the front (backrest, bolster, cushion part) while maintaining access to original pockets behind the backrest (if any) by covering only the top section behind the backrest. "Full-back"option means behind the backrest is full-length covered. "Map pockets"option means pockets can be added to both passenger and driver sides.